If you want to make a stunning impression on everyone at work or special party, then I recommend to try on a white pantsuit on. I am so in love with these tailored staples that will easily make any woman look professional, sophisticated and eye-catchy. By the way, each one of these structured outfits will ideally look at parties, social events as well as during everyday office hours. In other words saying, there are many reasons why white suits are great for wearing. It’s a perfect addition for all kind events. 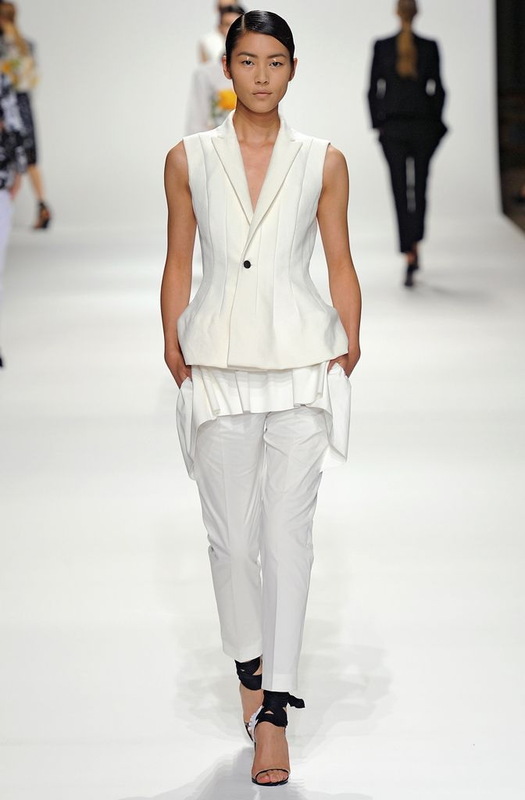 It’s no secret that women are wearing white suits more and more. If you are confident enough to wear white, then I recommend to take a close-up look at these marvelous dry-clean creations. Read on to find a perfect white suit for any occasion. Cara Delevingne appears on the streets wearing a fully white look that consists of white blazer, shirt, trousers and structured miniature handbag. I did not realize that the white pants and coat were such a popular fashion trend. After seeing all of these different celebrities wearing white suits I am convinced that it is a good look. I am looking for a professional suit option for my wife and after seeing all of these pictures I think that the white suit option is definitely a good one. I am excited to surprise her with this and even more excited to see her reaction.